A well built business credit score is a valuable asset for assessing the financial health of a company or obtaining business loans or other funding options. Often times, small business owners rely on their personal credit scores for funding their business. Although this practice is common, your personal credit score shows mortgages you are paying, credit cards you use and automotive loans you have. Collectively, the personal credit score may reduce your chance of getting big loans for your business. Alternatively, your business credit score is completely separate from your personal credit score. It does not reflect the condition of your personal finances. Rather, the business credit score is calculated by taking business assets, cash flow, sales records and other financial data into account. In this post, you will discover easy ways to build a good credit score in business. Before you improve your credit score, it is good to know what a good credit score is. As you may or may not know, credit scores fall on a scale that ranges between 300 and 850. 850 is considered a perfect credit score and 300 is considered the lowest credit rating possible. So what is a bad credit score? Well, the range for poor credit scores starts at 300 and continues to about 650. So if you have a credit score of 650 or lower, you have bad credit. 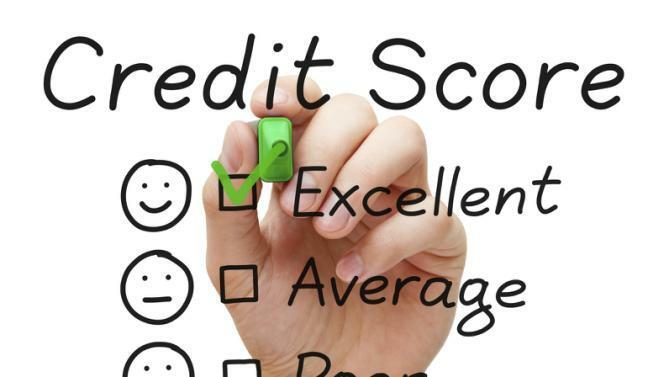 “Fair credit” is considered to be scores ranging from 651 to 700. Good credit scores range from 701 to about 759. Then, anything above that qualifies you as having an excellent credit score. So, now that you know what credit score rating you have, it is time to learn how to improve a credit rating for business. Your business will be eligible to build a business credit score only if you form a legal business entity such as a LLC or corporation. The next major step is to secure the company’s Tax ID Number or Employee Identification Number. In the US, the IRS provides a nine digit EIN number to every legal business organization. Using this Tax ID Number, you can also create a business bank account. Simply, a Tax ID Number is the first step to building your credit score for business. Next, take the required steps for getting a DUNS number, (unless you work in non-profit management, then you may require a different ID number). Visit the small business iUpdate portal of D&B to apply online. A DUNS number establishes the identity of your business. D&B and other credit bureaus will be using the company’s DUNS number for creating and maintaining your business credit ratings. Your company’s vendors might already be reporting you to established credit bureaus. If not, you can submit your business information with references from a few vendors. The majority of business credit scores are determined credit bureaus like Equifax, Experian, Dun and Bradstreet, and Fair Issac Corporation. Logically, your credit score will build if several vendors report good payment history for your business. To build your business credit score and maintain it, you will have to make all your payments on time. As you continue to make all due payments on time, your credit score will rise simultaneously. It is okay to get delayed by a few days on a payment, but do not make it a habit. A small delay will not impact your credit score much. However, you may have to pay late fees and many credit ratings depend on timely payment. For example, Paydex calculates your credit score by monitoring your bill payment habits. Therefore, pay your bills on time to build a good credit score for the business. Building a good credit score requires consistent effort. This is just as true for a construction business as it is for a restaurant. Although you might have a good credit score with large line of credit, you should not draw on the credit heavily. Use as little credit as possible to keep your business credit score high. Some business owners recommend to only use a quarter of your credit limit. This assures lenders that your business is going good. Once you establish business credit, make sure you perform regular business credit checks. Checking your business credit report at regular intervals allows you to verify that the information on file is accurate. It also makes it possible to check that everything is up-to-date and includes any new credit lines or accounts. If the information contained in your credit report is inaccurate, make sure you seek out the appropriate venues to rectify any errors. This will help you to fix your credit score if it has wrongfully been lowered, but it will also help you maintain a good credit score when you already have one. Finally, a good business credit score can help you secure business loans or low interest credit cards whenever necessary. Furthermore, building a high business credit score will make you eligible for lower interest rates. Certainly, access to cheaper capital allows the business owner to adsorb risk in down times and grow the business in good times.